Erik is the publisher of Transition Voice. With his wife Lindsay, the editor of Transition Voice, Erik founded Transition Staunton Augusta in December, 2009. He has been involved in environmental and energy issues for two decades. A businessman and community leader, Erik has worked for two decades to create companies and organizations that are built to last and to move the communities where he’s lived towards clean energy and a sustainable economy. 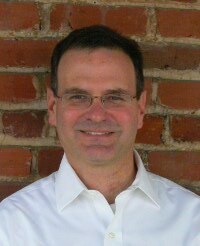 He is currently the managing partner in The Curren Group, a communications and marketing agency in Staunton, Virginia. In 2009, he ran as the Democratic candidate for delegate from the 20th House District of Virginia. He earned a bachelor’s in English from Washington and Lee University in Lexington, VA, and a doctorate in English from the University of California at Irvine. He is also a graduate of the Sorenson Institute for Political Leadership at the University of Virginia.